Do You Know What to Say If Someone Asks You About the Bible? If you’re a follower of Jesus, God has told you to “be prepared at any time to give a quiet and reverent answer to anyone who asks the reason for the hope you have within you.” As you share life with the lost world around you, God will open doors for you to share the story of the Bible. Are you ready? 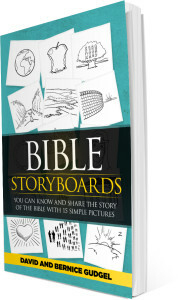 Bible StoryBoards was written to help you know the simple storyline of the Bible so you can then share it with others. 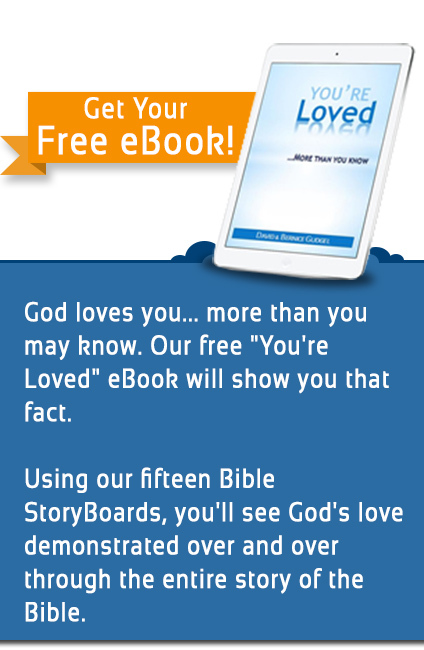 With our 15 StoryBoard pictures and the storyline that goes with them, we help you understand the bottom line story of God and man that the Bible tells – from Genesis to Revelation. 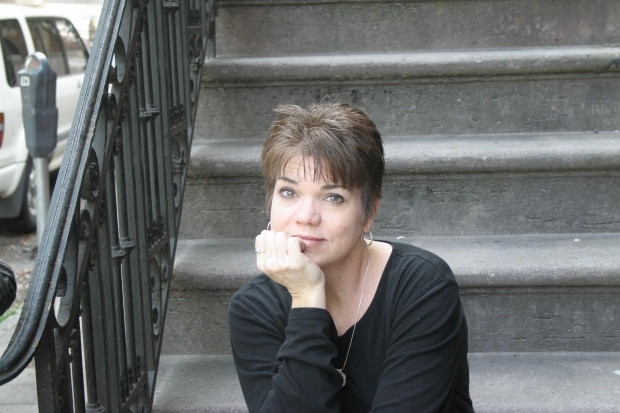 It’s the amazing story of God’s relentless pursuit of a relationship with us. From creation… to our sin… to God’s plan… to Jesus… to our life as followers… to what is ahead in the future for mankind and this world. That’s the story of the Bible. Once you understand the storyline for yourself, you can easily tell it to others in your own words as you flip through the 15 pictures in our app on your phone. Or you can even draw them on a napkin! Bible StoryBoards can help you know and share the life-changing story of the Bible when God opens the door for a spiritual conversation. Buy the book by clicking on the book picture below.